In the days to come, one may blame the Cavaliers losing to the Warriors in Game One on any number of things. The referees, The Warriors (the referees buying the Warriors), matching shorts with a suit. All of that matters not one jot at the current moment as we’ve all witnessed a grandiose moment in moronic sporting history. Now, the pickle is the cause and effect this inaction causes. 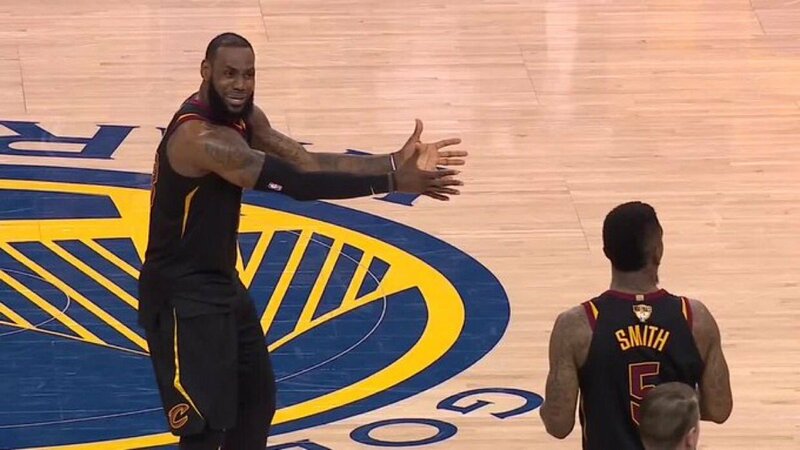 King James scored the fifth most points anyone has ever scored in a Finals game (51) and thusly became the only one of that historic five to lose that game. The location is also telling as this brain fart echoed around the hostile confines of Golden State’s Oracle Arena. If they were able to manufacture a bucket, 1-0 Cavs. Clearly, for LeBron to ascend to the level of Jesus’s Jesus, everything must go smoothly. The box score tells a story … the one where Bogie leaves Casablanca to pursue a new beautiful friendship. Is it too early to assume that the Cavs are done and LeBron is gone? Maybe. However, if he does, consider JR’s masterpiece as one that will suddenly increase in value.